Japanese brands are famous for their jeans but other styles of pants are loved by fashionistas here in Tokyo. Especially, their khaki chinos are versatile and essential for classic men’s chino style. 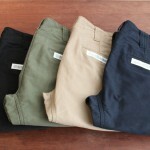 We introduce best men’s khaki chinos from 5 Japanese brands. Continuing its success in re-innovating vintage jeans, WAREHOUSE is now well-known as “Osaka 5” in the Japanese denim industry. We would like to introduce the Osaka brand’s chino pants that are as popular as their internationally famous jeans. WAREHOUSE Lot 1082 CHINOS took the iconic details from the early 40’s U.S. Army Chino Trousers, such as double welt watch pocket, narrow belt loops and double needle lap seams on the sides. The men’s Chino pants are made from bespoke shinny chino cloth with high fast color. The fabric ages beautifully by washing. The original loose cut and deep crotch are modified slimmer and lower for the urban life. Nice nut buttons are also placed. 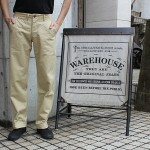 Lot 1082 CHINOS is available at Rakuten market. orSlow is one of the most popular Japanese brands today and carried by numbers of great select shops in the world. orSlow mainly offers jeans and military inspired pants with classic looking but up-to-dated silhouette. orSlow’s SLIM FIT ARMY TROUSER is inspired from U.S. military trousers and are made from a dense Japanese cotton that will age beautifully through wear and time. The men’s chinos are made in dense Japanese cotton that will age beautifully as they are worn. They are finished in a slim fit with a zip-fly closure, two side pockets and two back welt pockets. 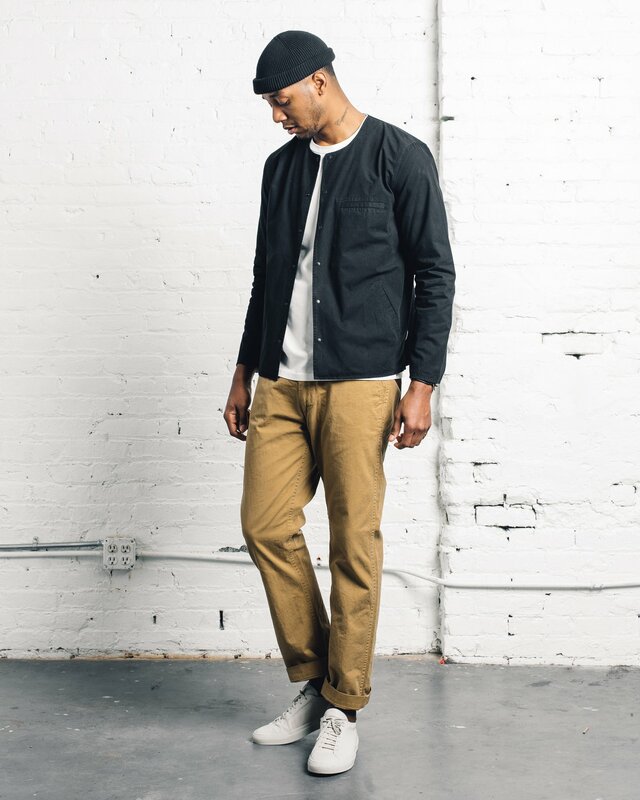 orSlow Slim Fit Army Trouser is available at END. The Japanese/French concept store offers house label ANATOMICA that is made in Japan to pursue the perfect fitting. ANATOMICA’s CHINO II was created by taking the details of the 40’s military khaki trousers and the silhouette from the 60’s one. All of these details are done using the sewing techniques at the time. 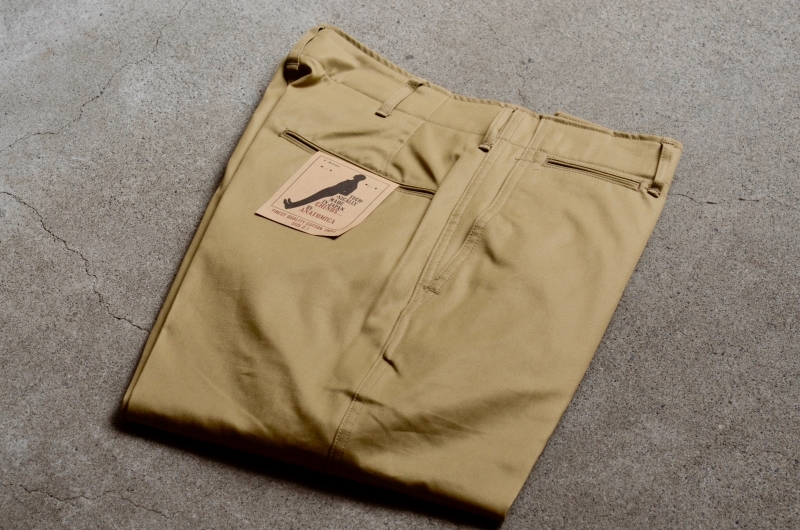 This men’s Chino trousers are made in Westpoint Chino. The Chino fabric is woven with warps made with 4 thin single yarns. Crispy touch with shiny surface. 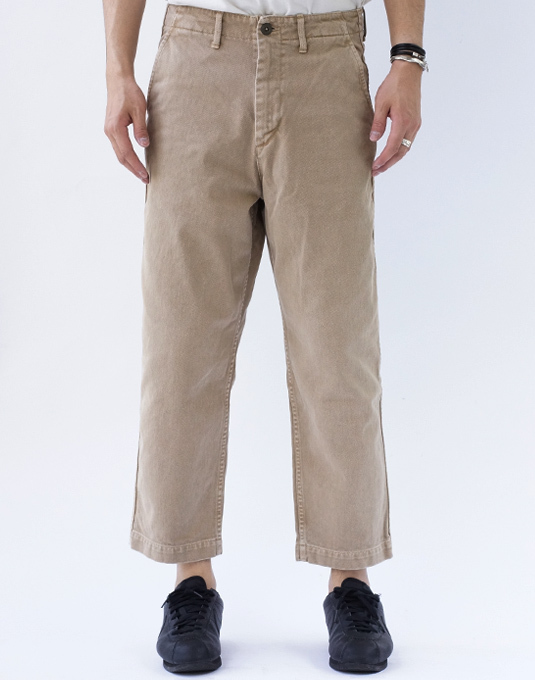 ANATOMICA CHINO II is available at ANATOMICA’s online shop. Popular select shop 1LDK’s house label UNIVERSAL PRODUCTS offers universal items with their brand-new standards. It focuses highly on the quality and the creative processes. UNIVERSAL PRODUCTS started its history with long running core men’s chinos, ORIGINAL CHINO TROUSERS that features a beautiful slim silhouette like formal trousers with a regular rise and crotch plate. The men’s chino pants are inspired from takes 1940s US military khaki trousers, such as the double-welt coin pocket and back pockets. The Japanese twill cotton fabric will age beautifully and get seam puckering as you wear. 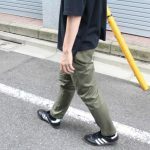 UNIVERSAL PRODUCTS ORIGINAL CHINO TROUSERS is available at 1LDK‘s online shop. 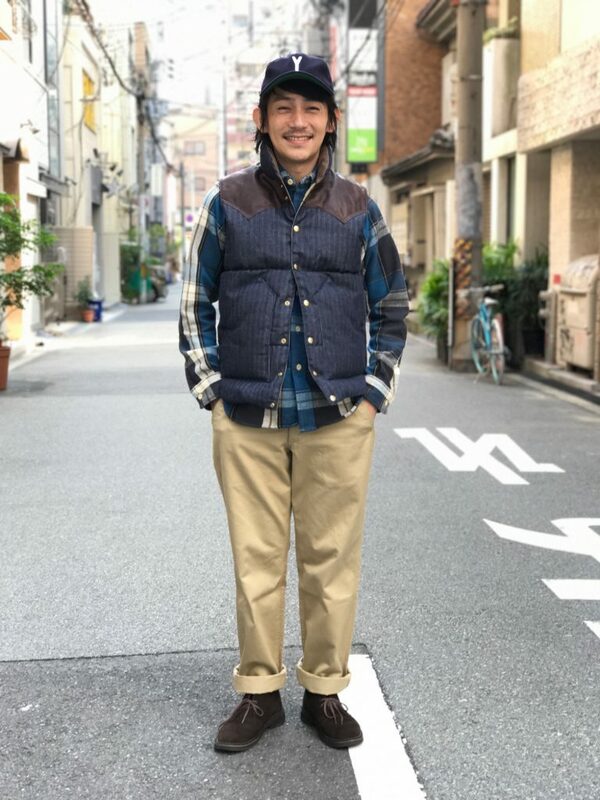 Tokyo brand KURO has strict and unique production philosophy; production quality shouldn’t be evaluated by factory names but artisans’ skills and passion of the workers. This leads KURO to work with factories throughout Japan. For example, their denim is made and cut in Okayama but the denim pants themselves are sewn in Miyagi, the north part of Japan. KURO’s SULFUR DYE WASHED KATSURAGI PANTS is made of Katsuragi fabric that is Chino-like Japanese thick twill fabric. It is dyed with sulfur to give it a vintage texture and fades. The men’s chino trousers features a relaxed silhouette. KURO SULFUR DYE WASHED KATSURAGI PANTS is available at KURO’s online store.